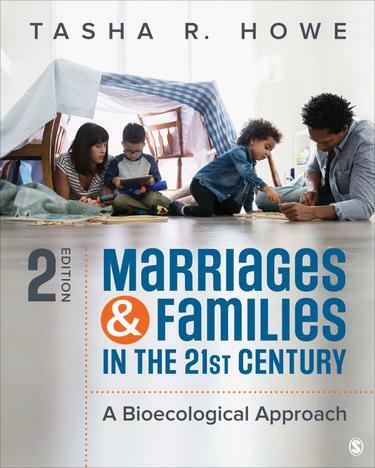 Marriages and Families in the 21st Century puts contemporary relationships and family structures in context for today and rsquo;s students. Using a bioecological framework, the book reveals how families are shaped by multiple influences, from biological to cultural, that interact with one another. Chapters cover topics from parenting to gender issues within an interdisciplinary context, weaving in stories, visuals, and examples of diverse families to dispel longstanding myths. The book creates a personalized learning experience with frequent self-assessments and strengths exercises, while ensuring that students come to understand the research and build scientific analysis and critical thinking skills along the way. Robust digital tools and resources including SAGE edge and an interactive eBook with SAGE Premium Video help readers develop a multi-layered understanding of "what makes families tick" while challenging them to re-evaluate their own assumptions and experiences.